Arkansas State University (ASU) College of Communications is located on the university’s main campus at Jonesboro, Arkansas. Established in 1909, ASU offers a number of Bachelor of Science degrees in communication through the Department of Communication Studies, the Department of Journalism and the Department of Radio-Television. The College also offers graduate certificates on Health Communications, a Master of Science degree in Mass Communications and a Master of Arts degree in Speech Communication and Theatre, as well as a Master of Science degree in Mass Communications with a major in Radio-Television. ASU’s educational philosophy is that communication students should concentrate on studying the many ways people communicate with each other in different contexts, including verbal and nonverbal communication. The school believes that communication skills are crucial for all students, regardless of their academic major or future employment goals. Communication classes at Arkansas State University emphasize communication theories but are also rich in practical experience. Communication majors receive a thorough grounding in the basics of communication studies. Through the communications department and related departments, students are also presented with a number of diverse areas of concentration to choose from so that they can design highly personalized learning experiences. Students who choose to seek a Graphic Communications degree are exposed to sophisticated technical labs and printing technology, as well as business and management training. The Department of Radio-Television provides training in broadcast communications. The department offers students the chance to learn their trade in state-of-the-art broadcast and multimedia studios. Students have the opportunity to get their broadcasting feet wet by fulfilling course requirements or working as paid employees at the school’s FM radio station, KASU, or for its television studio, ASU-TV. Although students graduate with the skills necessary to pursue careers in the field of broadcast communications, the broadcast communications program also prepares graduates to do graduate work in the field. Bachelor of Science degrees in journalism at Arkansas State University are earned through the Department of Journalism. Students who concentrate on areas such as news-editorial journalism or photojournalism can also choose from classes offered by the Department of Radio-Television. Other areas of focus include public relations as well as advertising. Journalism students receive a solid liberal arts background along with journalism instruction and hands-on learning. Both journalism and graphic communications majors learn in ASU’s technologically advanced journalism and graphics labs. The school’s newspaper, the Herald, is produced in online and print versions by students, providing valuable practical learning experiences for students looking forward to careers in the field of journalism or graphic communications. 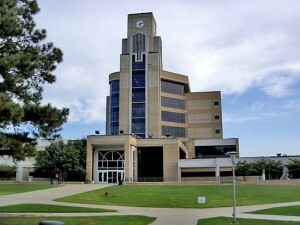 The Arkansas State University M.S. in Mass Communications program offers a highly dynamic, research-heavy curriculum. Many graduate students study for careers that involve making advanced decisions in mass communications. Others prepare to pursue academic career sin communications or to enroll in doctoral programs after graduation. ASU has a student enrollment of more than 13,000 students on an 800-acre urban campus. The university’s teams compete in the NCAA Division I Sun Belt Conference and are collectively known as the Red Wolves, although they were traditionally called the Indians. A number of college and professional sports achievers are alumni of Arkansas State University. These include numerous NFL players as well as Olympic bronze medalists Ernie Bell and Thomas Hill, silver medalist Kellie Suttle and gold medalist Al Joyner. Social life is very important at ASU, and revolves around Greek life. Twenty-five Greek fraternities and sororities boast 15 percent of the school’s students as members, and enrollment in one of them is an unwritten requirement for participation in most student associations, particularly when it comes to leadership roles.